This product comes with many features and functions. 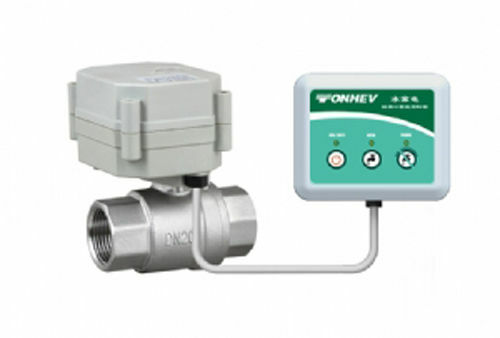 When there is an alarm, the valves will close automatically in response to a leakage. The power supply comes with 2AA, five batteries. When the power is too low, the alarm is triggered and the valves automatically close eight hours later. The controller panel has three keys which include the valve off key, valve on key and power key. It also has three indicator lights which include the power indicator and on and off indicator. It is very easy to install. It is the right choice for use in water softeners, filters, washing machines, protective faucets and water purifiers. It can be used in any equipment that needs leakage protection. It also has a controller that is moisture-proof and fully sealed which will in turn increase the life of the battery and significantly improve the product's stability.